NewsHow Can I Identify Data On My Inventory Of Legacy Backup Tapes? There are many reasons to have a clear system in place when it comes to keeping track of your data inventory. While there is an expense to store backup tapes, there are also legal implications, costs, and time associated with not storing your data properly. The consequences far outweigh the notion of dealing with it later. Depending on your industry, records typically need to be maintained based on data classification retention policies. If you dispose of or recycle tapes that are unmarked without knowing what they contain, you could be putting your company at risk. When Might Your Backup Inventory Become Unorganized? Often times, databases can become inactive as companies upgrade their backup software. Ideally, you should have a catalog that you can access such as an active database and query to find specific information. However, catalogs might be lost, and old databases may no longer be supported. As for situations like acquisitions, many companies do not have a cohesive technology transition plan. Via acquisition, they may have inherited several different legacy backup systems, however, it is not uncommon for companies to lack the tools or resources to identify or restore the data. Knowing the data you are looking for is on 1 of 5,000 tapes isn’t good enough. Therefore, when a legal event arises, companies fail to have a painless and seamless process in place to retrieve information quickly. Keep a catalog and think of it as your data bible. Label your catalog based on the type of backup, data, and source of data like one server vs. another server. Frequency can be daily, weekly, or monthly depending on the type of data being backed up. Also, label a backup and the type of backup, for example, email server x monthly backup, with the year. You can even include the backup date to save you more time when it comes time to search for and locate specific data. Companies with multiple locations can fit them into their backup naming convention as well. A good way to segment your data may be manufacturing, sales, and customer service for each location. There are both basic backup tape software and more complex enterprise level backup tape software packages for large corporations. Select the software that best fits your backup needs taking into account the potential for significant data growth within your company. As a company grows, it is very likely there will be technology upgrades which may include changing your backup software. As different backup softwares have different technology, it will further complicate the identification process if effective measures are not proactively implemented. There are two main challenges we typically find when identifying data on tapes. When a legal inquiry comes in, the company might only want to reproduce the data specific to the request. However, depending on the backup software used by the company, it might take days, weeks, or even months of manpower to recreate the environment in-house to pinpoint the exact data. The second challenge comes with encryption. Encryption is vital for keeping your data safe, but when you lose the credentials, the data could become unrecoverable. TDS’s proprietary technology platform, ARES, has the capability to produce targeted data from a specific time frame or category. Additionally, depending on the type of encryption, data with a lost encryption key might be able to be restored – consult with TDS to discuss your specific situation. Choosing to do an identification and restoration job in-house requires the need to setup a separate server or recreate the backup environment. It takes away time from your in-house IT team doing their day-to-day tasks, and the company may not have the hardware and software resources to do so. Using a specialized third party data services provider will expedite the process and take the burden off your in-house team. Also, when it comes to a legal inquiry you may be required by the court to use an independent third party to retrieve the data. At TDS, with 30 years of experience and having performed thousands of restorations, we are able to provide support and advise your legal team in litigation events to defend what it took to supply the requested data. With TDSs’ expertise and technology in the identification, restoration, and conversion of Electronically Stored Information, we are able to quickly and cost-effectively resolve your data challenges, no matter how large or small your project may be. 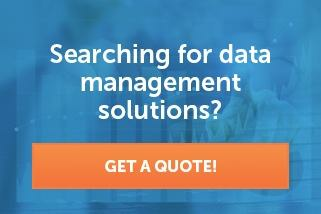 Read more about our Backup Tape Services and contact us today for your data management needs.